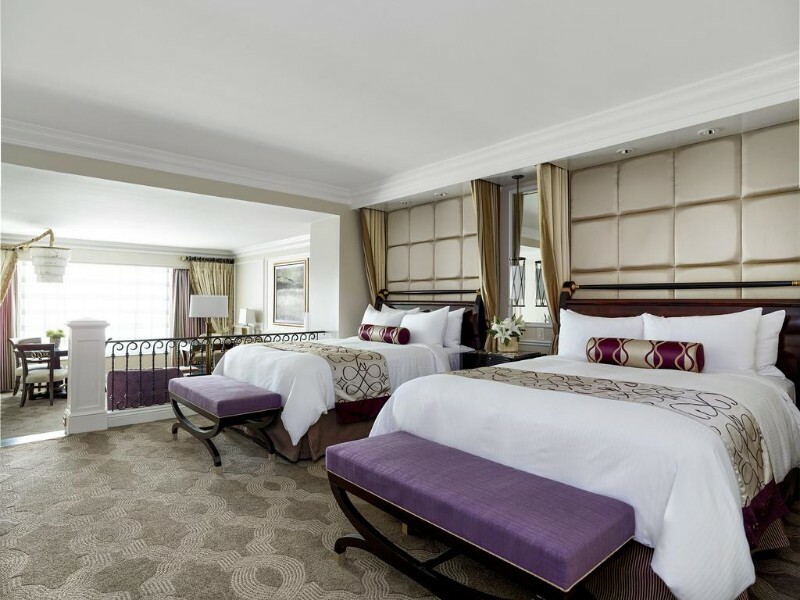 The Venetian features spacious suites, over 80 international restaurants, a state-of-the-art casino, and a 1.2-acre pool deck. 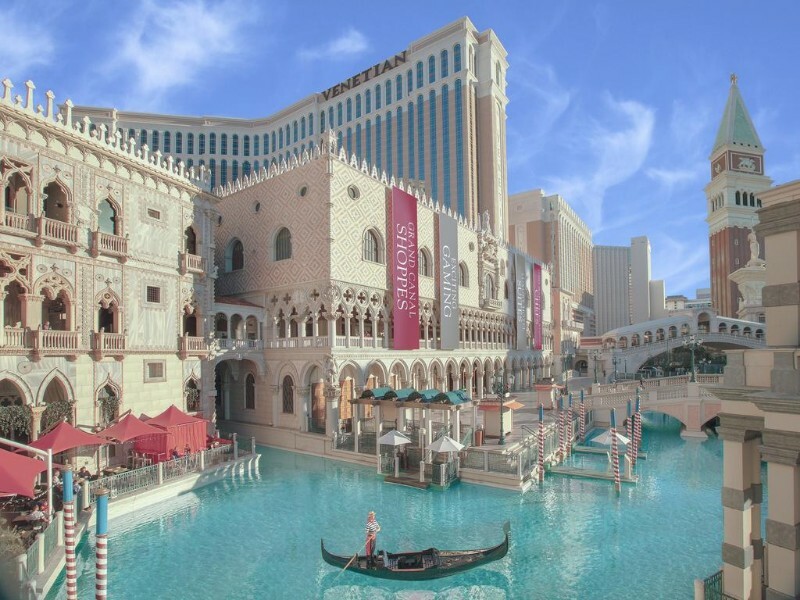 The on-site Grand Canal Shoppes offer over 80 boutique stores. This eco-friendly resort features spacious suites with a sunken sitting area with a dining table and 2 LCD cable HDTVs. 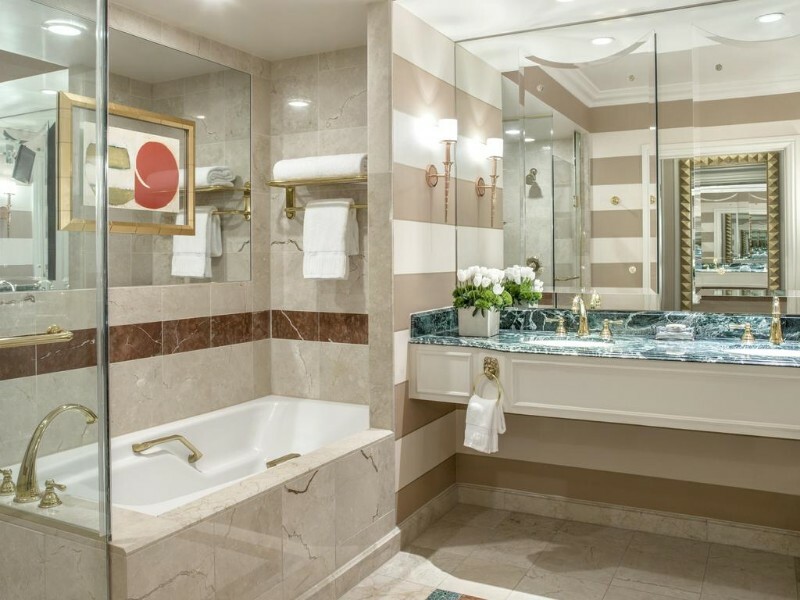 A luxurious private bathroom with over-sized soaking tub, separate glass-enclosed shower, marble counters, and deluxe toiletries is also included at The Venetian Resort-Hotel-Casino. A wide selection of dining choices at the resort includes bistro fare at Thomas Keller’s Bouchon. 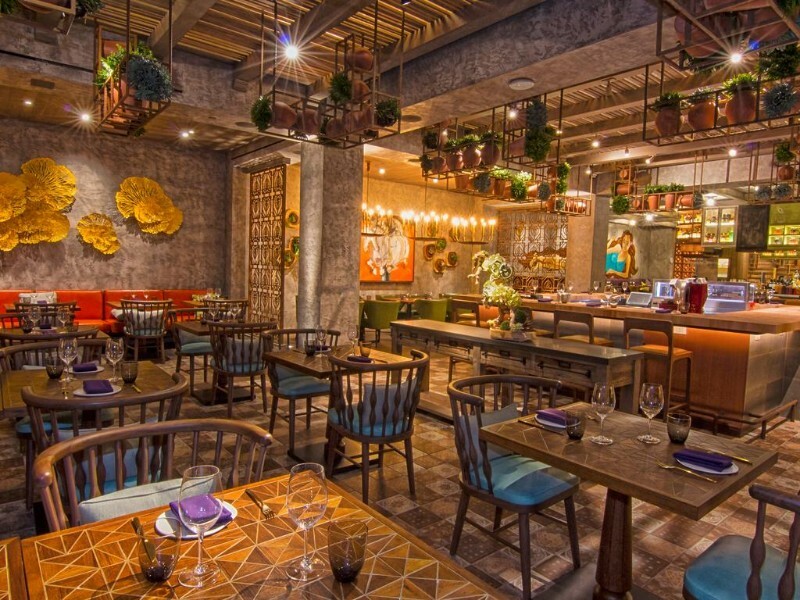 Guests can also dine on a variety of choices including American, Italian, Asian and fusion cuisine. In-room dining is also available. 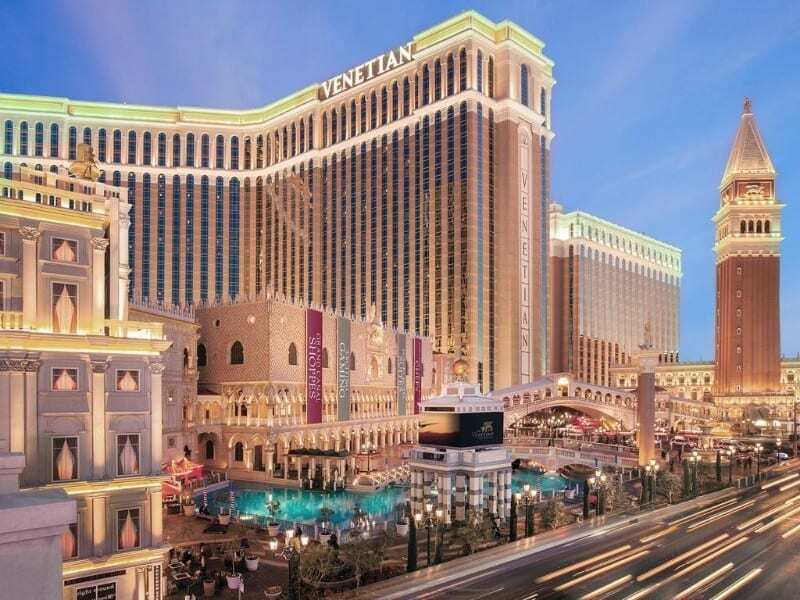 Guests of The Venetian Resort-Hotel-Casino can experience a true cocktail culture at The Dorsey, test the waters in the intimate, yet energetic environment of The Aquatic Club or take a stroll down the cobblestone pathways of the Grand Canal Shoppes. 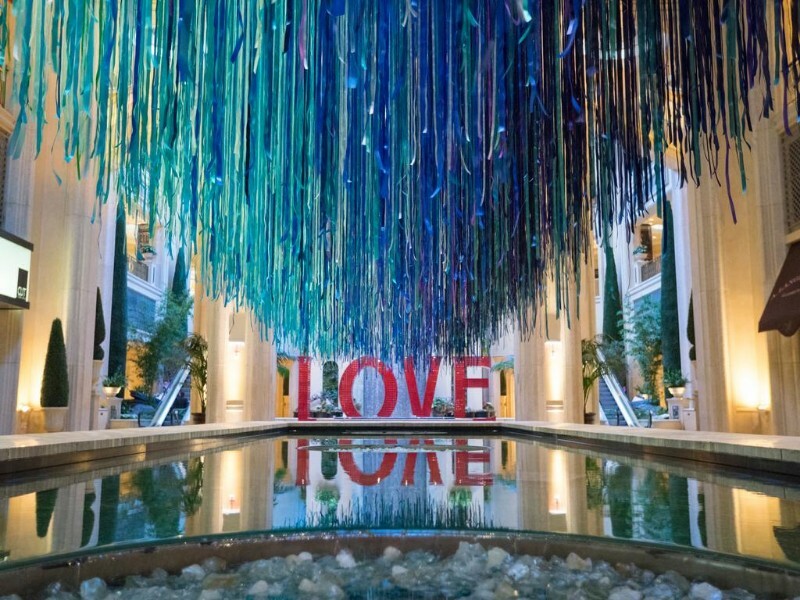 The Venetian Resort-Hotel-Casino features 10 outdoor pools, including the adults-only TAO Beach pool and day club. Poolside dining and private cabana rental are available. 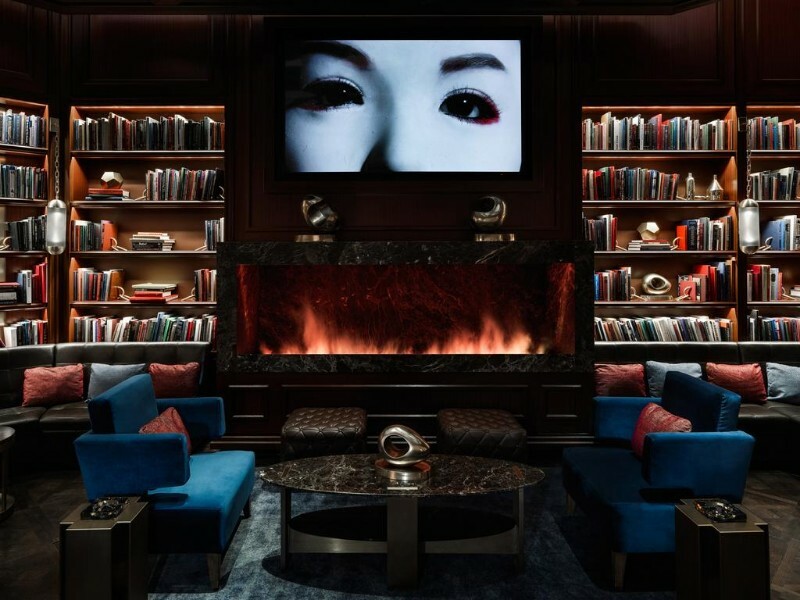 Guests have free access to the Canyon Ranch SpaClub gym, which also features spa services, fitness classes, and a 40-foot rock-climbing wall. Madame Tussauds Las Vegas wax museum is located on site. McCarran International Airport is 15 minutes’ drive away. 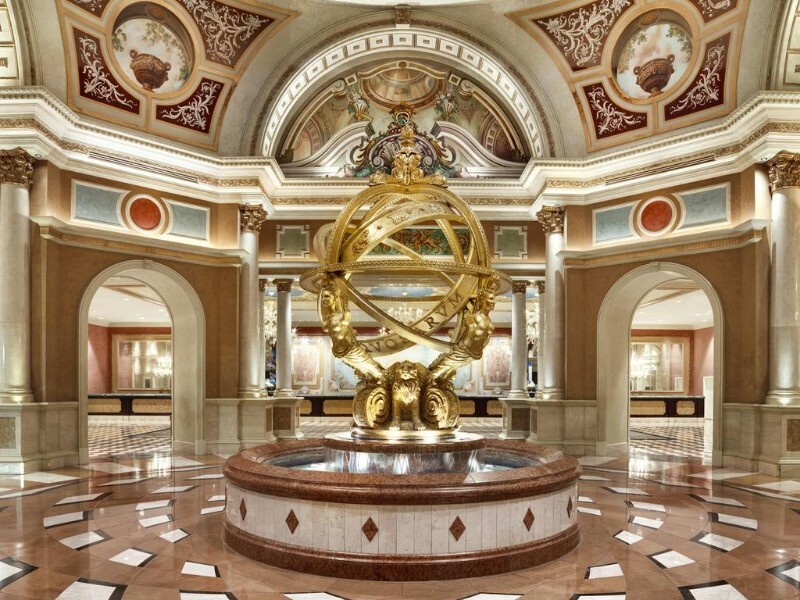 The Venetian resort complex is (together with the adjacent Sands Expo Convention Center, The Palazzo Hotel and Casino Resort and future MSG Sphere Las Vegas) the world’s second-largest hotel, with 4,049 rooms, 3,068 suites ranging in price from $169 to $10,000 per night and a 120,000-square-foot (11,000 m2) casino. 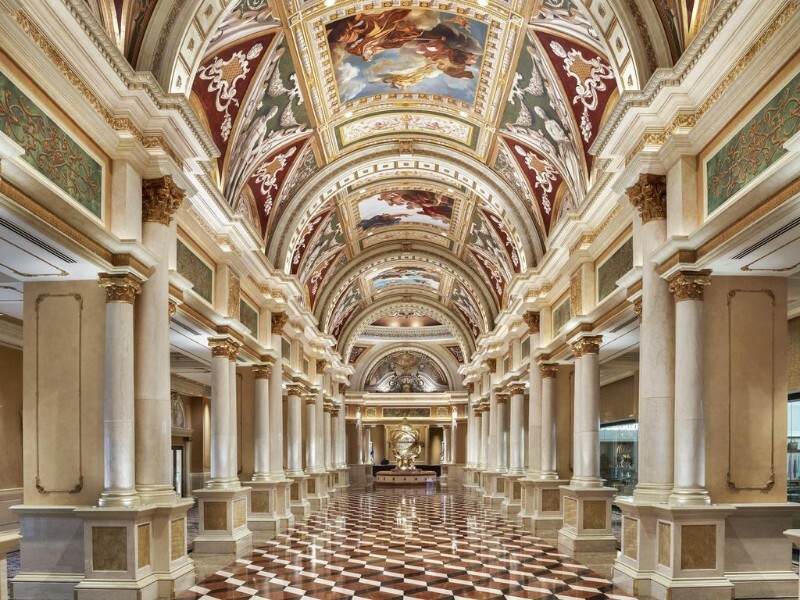 Since its opening, The Venetian Macao is now the largest casino in the world, beating The Venetian, Las Vegas. 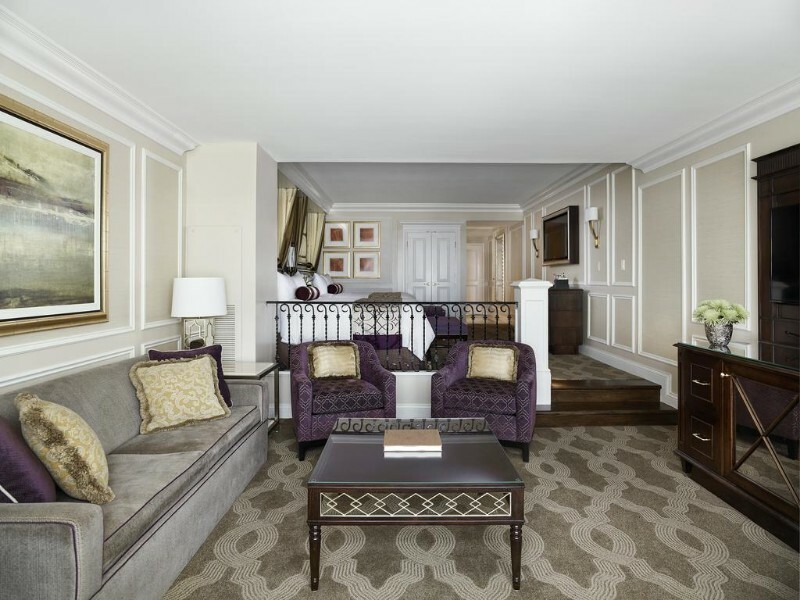 To get the best deal on your hotel stay, Click Here to Book Your Room Online.